Every template has been thoughtfully designed to make your ideas stand out online. Share joyful greetings with friends and family with Kin. 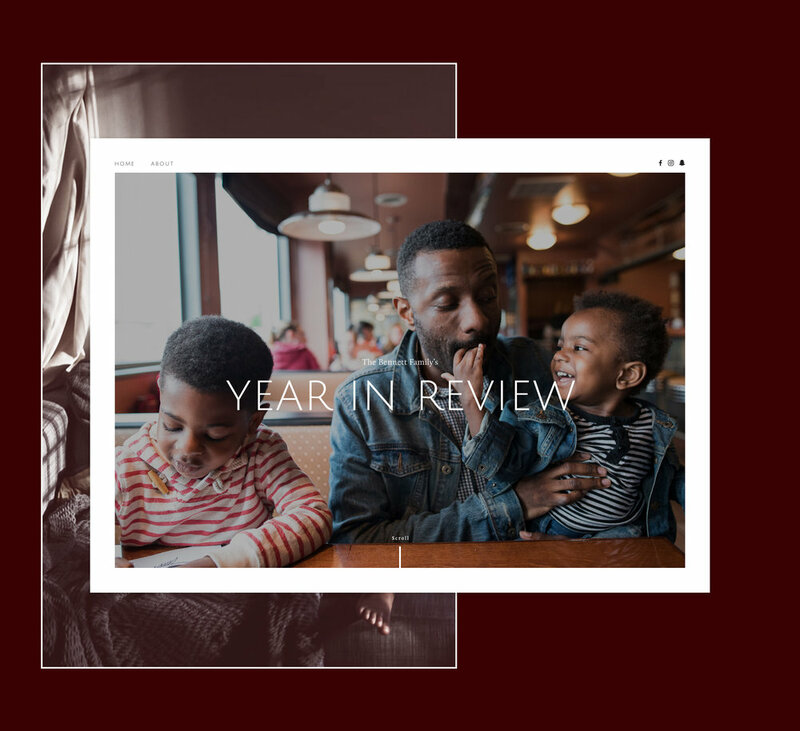 This charming newsletter layout mixes different image styles, overlays, and text to capture your year's most exciting events. Great for holiday cards and other announcements. Celebrate good times with Royce. Simple and bold, this invitation template gives guests the information they need and gets them hyped for the big event. An excellent choice for parties, weddings, and other festivities. Lively colors and dramatic text get people pumped and ready for action. Fitness professionals and other specialists use Stella to entice new clients and encourage them to schedule appointments. 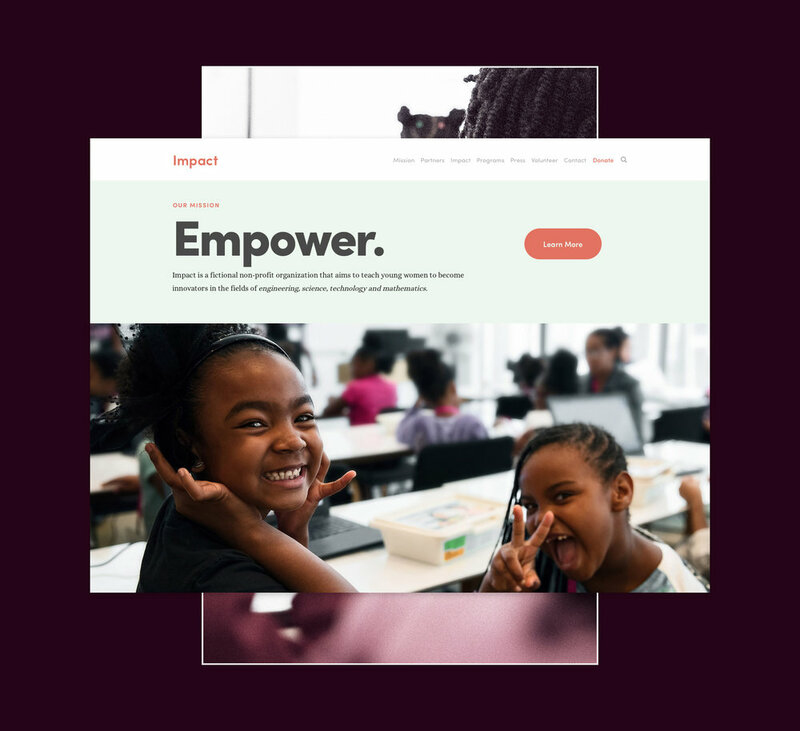 Impact's attention-grabbing layout and bold calls to action make it a great choice for organizations with a cause to share. Use the scrolling banners to promote your mission and encourage visitors to learn and contribute. 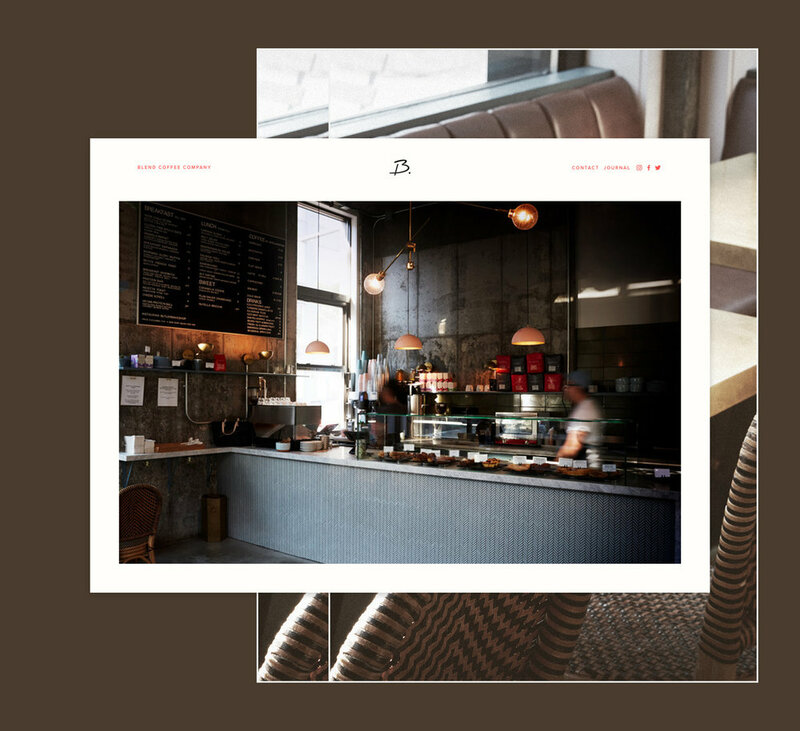 Entice customers with Blend's tempting visuals. A bold header introduces your products, and scrolling banners give customers the details they're looking for. Great for cafes, restaurants, and other businesses that want to become a local favorite. With Pursuit, your experience is what stands out. A text-focused, single-page structure highlights your expertise in one location. Clear calls to action drive potential employers or clients to take the next step. Give customers a tempting welcome with Pedro. Video backgrounds create a lavish experience, while an image-focused layout encourages visitors to explore your products. Great for stores and boutiques. Tell the story of your love. Vow's scrolling format and striking layout lead friends and relatives through your history, culminating with the details of your big day. A terrific choice for weddings and other milestone moments. All new templates are now available in the Template Store. Our amazing Customer Care Team is standing by 24/7 for any questions you might have about creating a website with Squarespace.